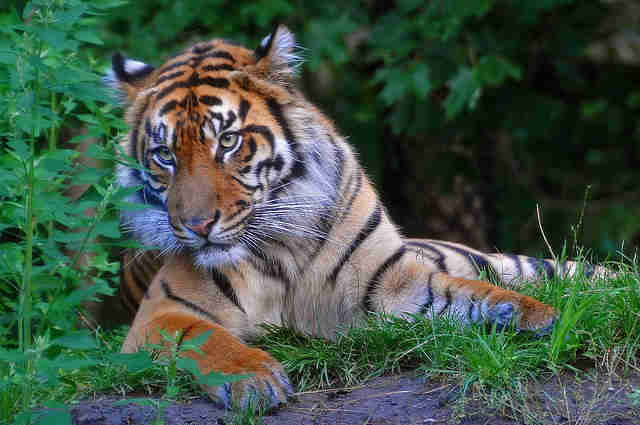 The largest and, arguably, most distinctive big cat in the world, the tiger, has had a hard time of it in recent history. Their numbers have declined to a level that has left them endangered; the result of a range of factors, with habitat destruction, habitat fragmentation and poaching the key reasons to the mammoth decline in their numbers from the start of the twentieth century from a population of around 100,000, down to an estimated 3,200. Much like bears, tigers are solitary animals and spend a vast amount of time traversing large areas of terrain known as tiger corridors, where they mark their own sizable territory to keep out any uninvited company. They occupy many different types of habitats, from tropical forests to evergreen forests in the East Siberian Taiga, woodland and mangrove swamps, grasslands, savannahs and rocky country – making them well equipped and hardy creatures. They are mostly nocturnal creatures, often active at night so that they can exploit their preferred method of stealthily ambushing unknowing prey for sustenance. It is here that they rely on their deft footing and the camouflage that their stripes provide to knock their prey to the ground, using their substantial body weight, to then deliver their final blow with a bite to the neck – grisly! However, their prowess in the wild has been severely handicapped because of humans'encroachment on their habitat. To combat this, the WWF received 20 million Euros from the German Development Bank KfW to support tiger conservation (in the early part of 2014), for the protection of tigers, their environment and for the benefit of the local people living in tiger range areas. Along with this, the much needed funding will also provide essential resources for the protection and recovery of the last remaining critical tiger populations that reside in India, South East Asia, China and Eastern Russia. 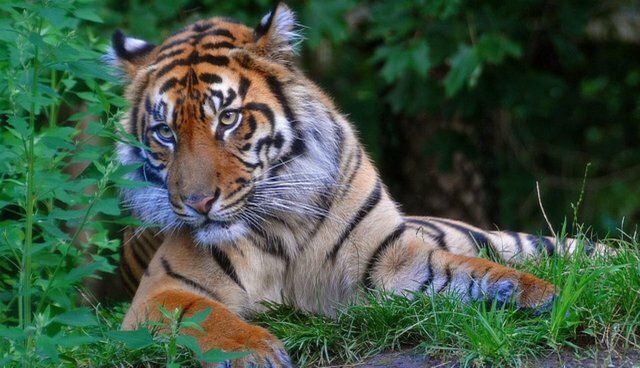 Contributing to this, Frontier is now joining Malaysia Tiger Conservation project is to reduce the human impact in the wildlife corridor between the West Malaysian mountain ranges where poaching is at its worst and the Taman Negara National Park. The corridor is used as a highway by tigers (among other wildlife like elephants, rhinos, leopards and sun bears) to get between the two large forest reserves and in order to find the resources that they require to survive and, hopefully, thrive. By trekking, tracking and patrolling this lush tropical region, it acts as a deterrent to poachers, allows a critical assessment of the health of the tiger (and general wildlife) population and helps to ensure that all of these animals are safe and have the right environment to flourish in. These routes are chosen based on surveys that are needed to be completed for the local conservation organisation in Malaysia. This means that any snares found will have their GPS locations recorded and then destroyed, and any poachers spotted will be pursued and face ramifications for their actions. Hopefully with the positive steps that are being put into place, the preservation of these majestic, yet elusive big cats will lead to continued existence in the wilds of our world. Frontier is an international non-profit volunteering NGO. Frontier has over 300 dedicated conservation and community development projects as well as plenty of inspiring gap year ideas to help make your time out meaningful. For more information on all the opportunities available visit www.frontier.ac.uk and our blog "Into the Wild" where you can read more articles like this.